Surfing Heritage & Culture Center: The next lesson is Tues, Mar. 20, 2018! 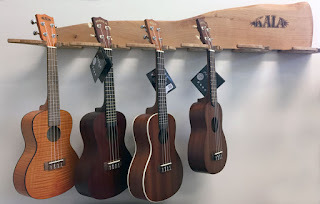 SHACC now carries a line of Kala Ukuleles, and SHACC members can purchase them at fantastic discounted prices! Come by the museum and check them out. The Ukulele is a fun, traditional Hawaiian instrument that sings in the key of aloha. SHACC is pleased to announce that we are now offering our members monthly group ukulele lessons for just $8 per session. Non-members can join SHACC online at: http://store.surfingheritage.org/membership.asp to be eligible to participate, or may sign up for membership onsite prior to class. Beginner Lessons take place from 6:30-7 pm and intermediate and advanced Lessions from 7-9:00 pm. Classes are instructed by Lincoln Kaio. His ukulele group, ULU, has been entertaining at events and parties throughout Southern California for years. 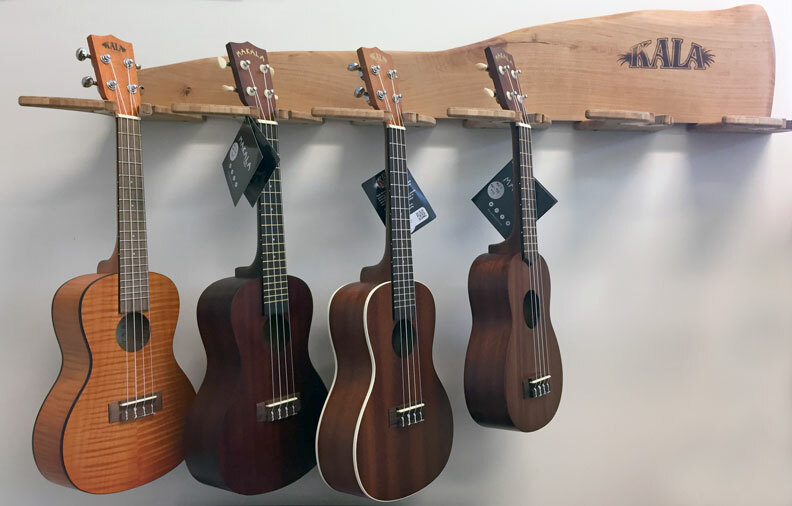 Dust off your ukulele... or go out and buy one, and start learning to play this popular stringed instrument. Invite your friends...and together you can look forward to a fun and entertaining musical experience each month at SHACC. For more information, call 949-388-0313.